– But saying that, it’s actually a foreign orchestra, so I still haven’t experienced a HK orchestra, heh. 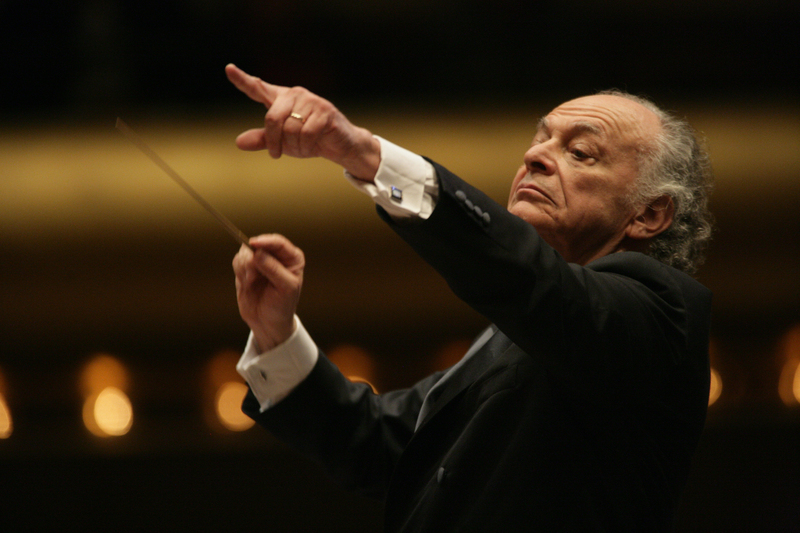 – Riccardo Muti was replaced quite last minute by Lorin Maazel due to health reasons. I was actually a bit shocked when I first heard of this change through the grapevine (though no complaints from me! :D) only because I then suddenly thought.. wow my family bought these tickets through Urbtix… and they didn’t ask us for our contact details (ticketing in HK needs to be looked at urgently). How are they then going to tell me about this change? In London, this would’ve generated soooo many complaints. So anyway, a bit more relieved when I received an email from the Arts Festival a couple days ago announcing this change (but then again, not everyone is on their listserve!) So tonight, to address this change, an usher nonchalantly mentioned the conductor change as we walked up the stairs after she checked our tickets… in a tone that sounded like she half expected us to turn around and leave. – And because of the conductor change, there was a repertoire change (which I actually preferred). – Which then had a chain effect on the size of orchestra vs the pieces… too small of an orchestra to be playing Mozart’s Jupiter. Yet they almost doubled the orchestra to play Brahms’ Symphony No 2. Consequently the Brahms piece sounded much fuller and more impressive, even though I personally expected to be more blown away by Mozart. So actually in a way this was a nice treat because the concert got progressively stronger and the players, progressively more expressive. Saying all this, I was still swept away by the music, particularly the Brahms piece and the encores. And got to see Lorin Maazel conduct! Why is that orchestras always play the encores with so much more passion and energy? Hm!